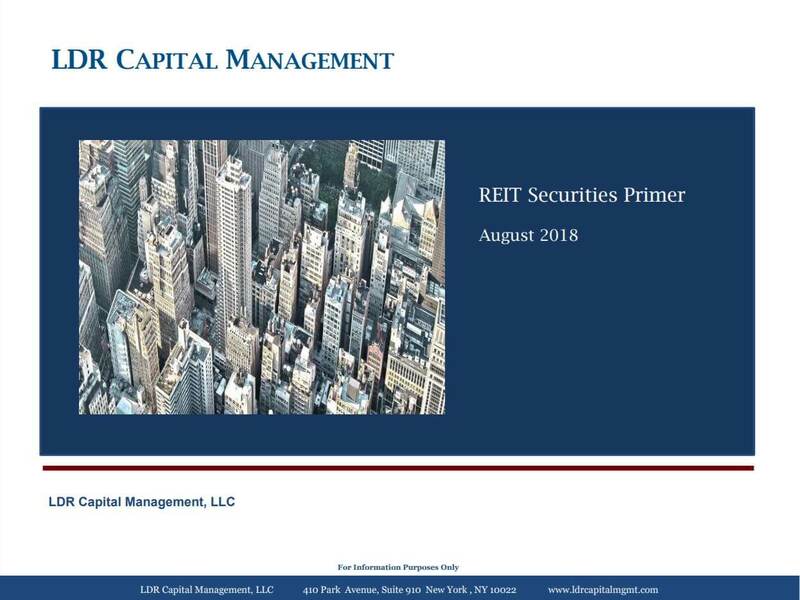 Our REIT Preferred Securities Primer will give you an in depth look into REIT Preferreds, the benefits of investing with Preferreds, the risks, and frequently asked questions regarding rates, capital stack, preferred dividends, distributions, and industry growth. 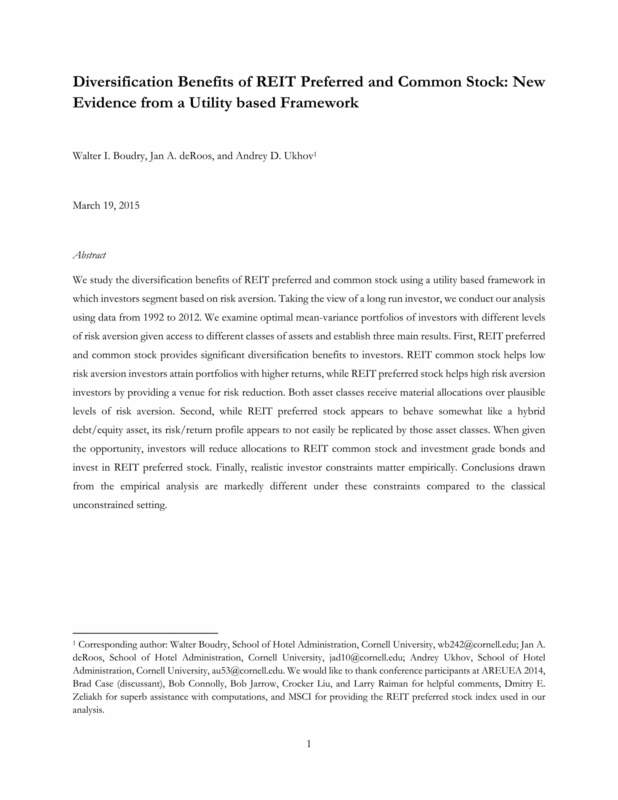 We study the diversification benefits of REIT preferred and common stock using a utility based framework in which investors segment based on risk aversion. Taking the view of a long run investor, we conduct our analysis using data from 1992 to 2012. We examine optimal mean-variance portfolios of investors with different levels of risk aversion given access to different classes of assets and establish three main results. 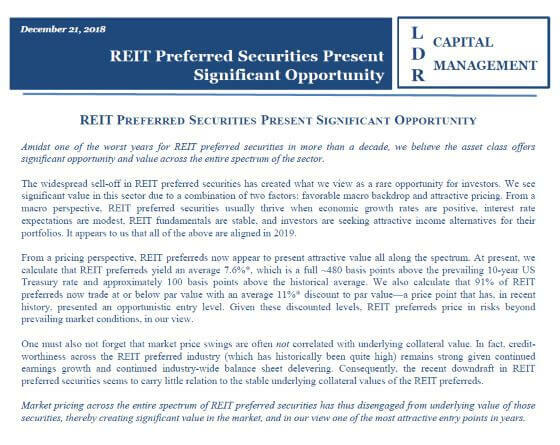 First, REIT preferred and common stock provides significant diversification benefits to investors. 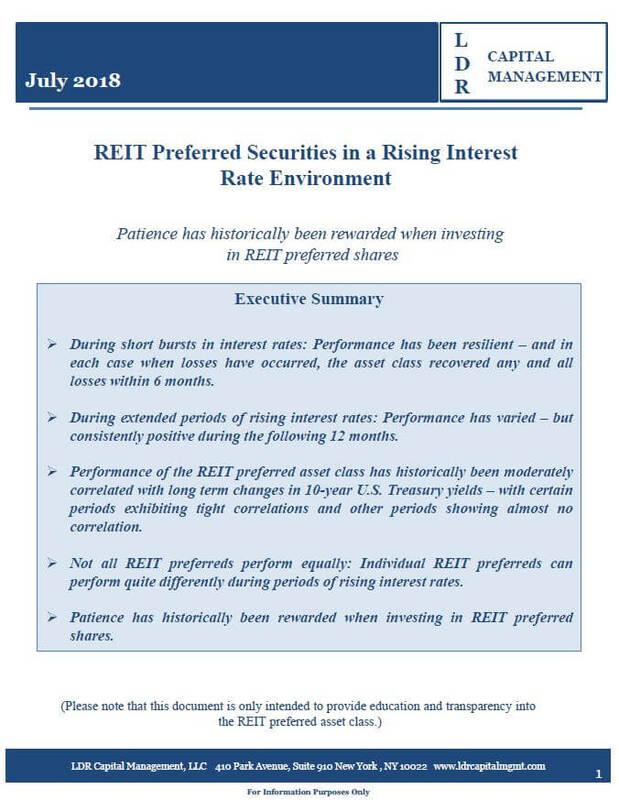 REIT common stock helps low risk aversion investors attain portfolios with higher returns, while REIT preferred stock helps high risk aversion investors by providing a venue for risk reduction. Both asset classes receive material allocations over plausible levels of risk aversion. 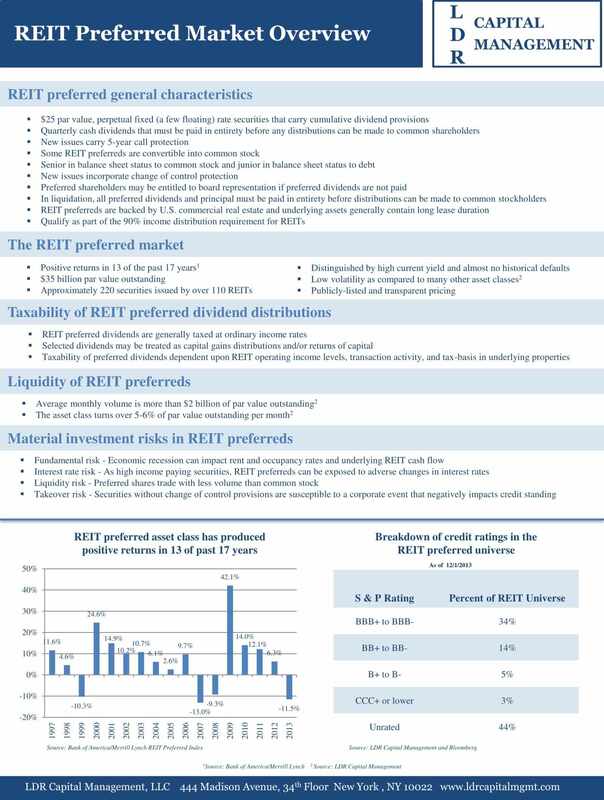 Second, while REIT preferred stock appears to behave somewhat like a hybrid debt/equity asset, its risk/return profile appears to not easily be replicated by those asset classes. 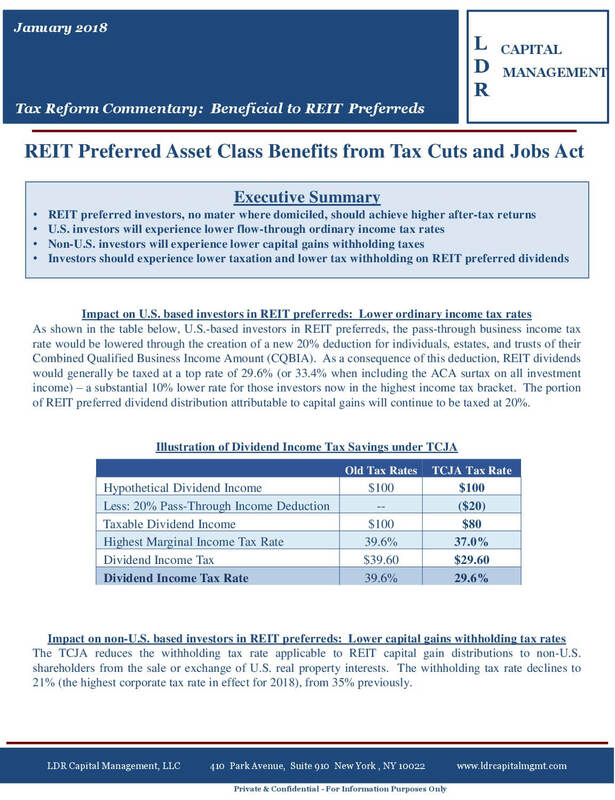 When given the opportunity, investors will reduce allocations to REIT common stock and investment grade bonds and invest in REIT preferred stock. Finally, realistic investor constraints matter empirically. Conclusions drawn from the empirical analysis are markedly different under these constraints compared to the classical unconstrained setting. 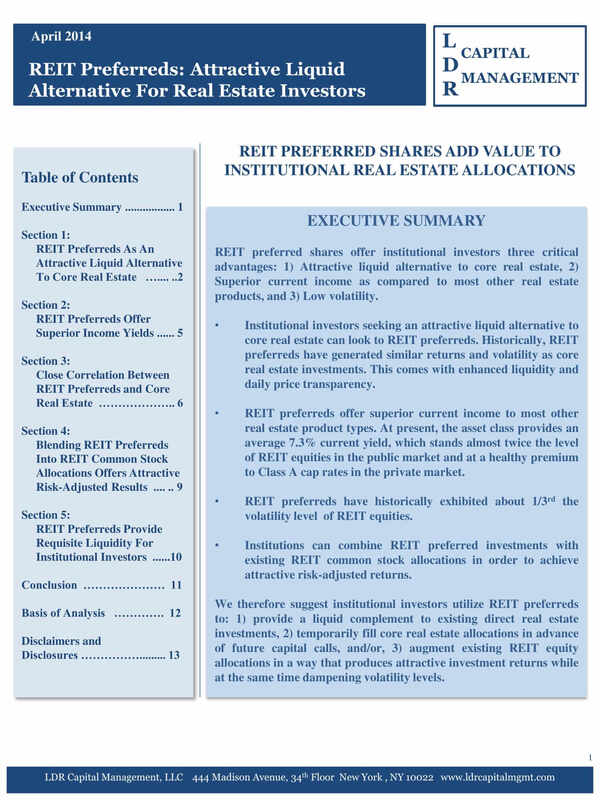 This research report discusses how REIT preferred shares add value to institutional real estate allocations providing 1.) A liquid complement to existing direct real estate investments and 2.) A way to augment REIT equity allocations that produces attractive investment returns while at the same time dampening volatility levels.